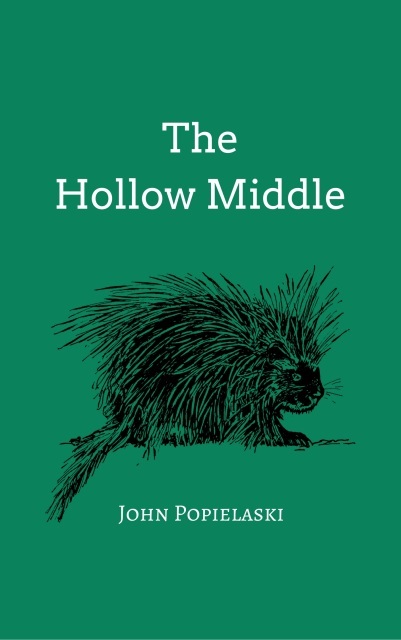 I want to thank TLC Book Tours for sending me a copy of The Hollow Middle by John Popielaski at no charge for my honest review. Albert has a lot to muse upon and muse upon it he does. Endlessly and at length. He has a limited sense of care for his wife – a woman who has stayed with him through a traumatic brain injury that has changed him dramatically. She is if not used to, at least no longer panicked at his wandering absences. I will state right here that I did not find much to like in Albert. He is a titch selfish. OK – he is a lot selfish. Perhaps that was Mr. Popielaski’s intent but it does make it hard to invest in a book with such an unlikable lead. The porcupine on the cover is rather apt I think as Albert is a somewhat prickly guy. The book is not written to be a page turner, rather it is meant to be read slowly and with intent. The prose is purposeful and it forces you to think. Reading for me is an escape and an entertainment so this book did really provide either for me so I can’t say that I fell in love with this novel. It did give my brain a bit of exercise which is not a bad thing.